The Denver Broncos parted ways with former first-round pick Paxton Lynch earlier this month. The move came after Denver claimed quarterback Kevin Hogan off waivers. Lynch had already fallen to the third-string quarterback, and the signing of Hogan sealed his fate. Drafting Lynch proved to be a costly move for the Broncos. Between his salary and "dead money" salary cap charges, the team will ultimately spend $8,333,593 on a player who started just four games. Lynch didn't wow anyone in those games, either. He won just one of them, and finishes his Denver tenure going 79-for-128 (a completion percentage of 61.7%), four touchdowns and four interceptions. In essence, each pass attempt from Lynch cost the Broncos a shade over $65,000. The Broncos haven't had much success in the draft over the past two years. Lynch was the 26th pick of the first round in the 2016 draft. And the team has already cut half of their 2017 draft class – just one season after drafting them. Ironically, Hogan, Lynch's replacement, was also taken in the 2016 draft – 136 spots after Lynch was selected. We'll see if another team takes a chance on Lynch. But for now, he leaves Denver on a dubious note: his four games started are the fewest for a first-round quarterback in more than 20 years. 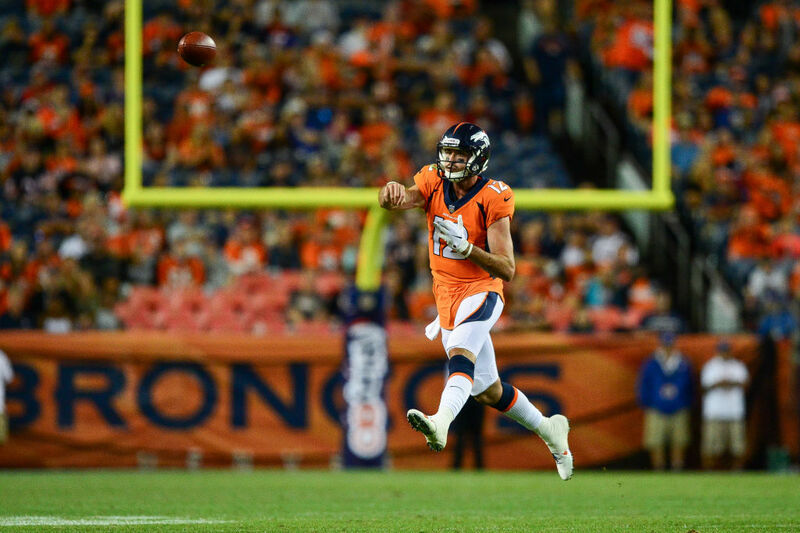 For John Elway and the Broncos, this proved to be a costly mistake. John Elway is a very wealthy man. But he could have been exponentially wealthier had he made a slightly better investment decision 20 years ago today. John Elway Once Turned Down Owning 20% Of The Denver Broncos... How Much Money Has He Missed Out On? John Elway once had an opportunity to buy up to a 20 percent stake in the Denver Broncos. He passed on the opportunity – and it ended up costing him, big time. In 1998, the Denver Broncos made John Elway one of the best investment offers you can imagine. Elway declined. See what the offer would be worth today!